English Premier League giants Chelsea Football Club have agreed terms with Germany side Borrusia Dortmund to sign US midfielder Christian Pulisic. Chelsea are expected to part with £57.7million for the 20 year old attacking midfielder who so far has three goals on his name in all competitions so far. “We are delighted to have signed one of Europe’s most sought-after young players.Christian has shown his quality during a fantastic spell in Germany and at just 20, we believe he has the potential to become an important Chelsea player for many years to come,”said Marina Granovskaia, a director at Chelsea. Borrusia Dortmund also confirmed the development. “It was always Christian’s dream to play in the Premier League,” Dortmund’s sporting director Michael Zorc told the club’s official website. Described as a perfect player, the Borrusia Dortmund sporting director said Pulisic will do everything possible in his powers to bring quality to the Chelsea team and also achieve his goals at the London club. Pulisic, who has 18 months left on his contract in Germany will however stay at Dortmund on loan until the end of the season. 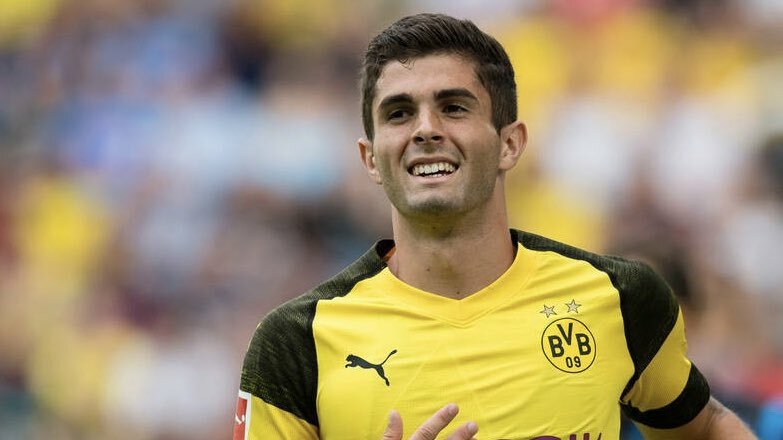 “It’s been an honor and a dream to pull on the black-and-yellow in front of the Südtribüne,”Pulisic said in a statement to the club fans. Arriving at the Westfalenstadion as a youth player in 2015, Pulisic has made over 100 appearances for the former Bundesliga champions and had become a force to reckon with in the team. He becomes the third most expensive signing in the London club’s history after Alvaro Morata(£60million) and goalkeeper Kepa Arrizabalaga(£71million). Pulisic’s arrival at Stamford Bridge could however be an indicator that the future of Eden Hazard who has always hinted at leaving the club could be in balance at Chelsea. Real Madrid have always expressed interest in signing the Belgian midfielder.